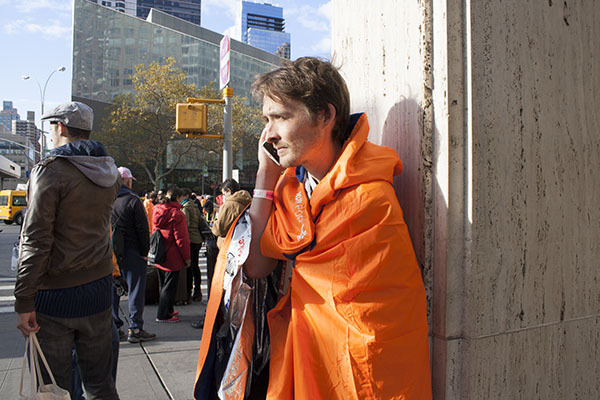 Amidst seas of orange capes and reflective blankets at the ING New York City Marathon finish line, runner Zac Nicholson waited for his parents and sister on the corner of 65th Street and Columbus Avenue. For Nicholson, 30, of the Upper West Side, the bombing at the Boston Marathon and any thoughts of danger were no deterrent to participating in today’s event. “We live in New York City,” he said, “I watched the towers fall, I’m pretty used to that aspect of city life.” Although he has trained for marathons for a few years, this was his first due to last year’s cancellation. Among other participants, the feeling was mutual. As runners and family members milled about, holding signs and congratulating each other, Matt Murton, 40, munched on a pretzel while waiting for his wife and children. 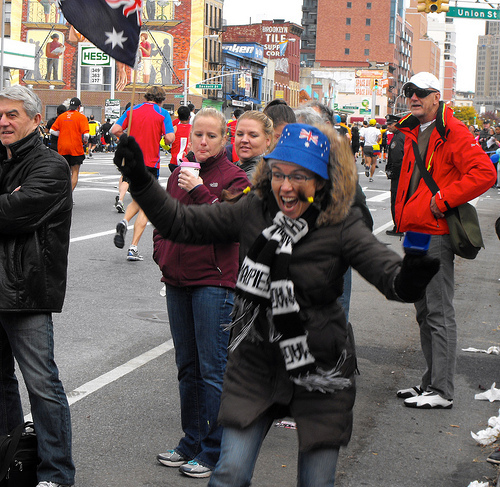 Because of his wife’s concerns, the family agreed to meet away from the finishing line, outside the marathon route. 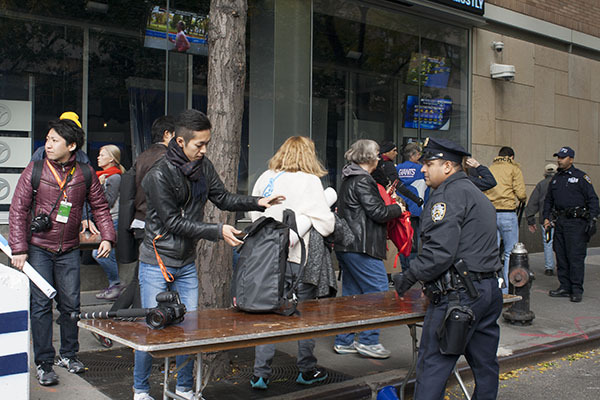 “I was impressed with the New York Police,” Murton said. He noted that the bag checks, barricades, and other measures were very thorough. Police blocked access to side streets for over a mile on the west side of Central Park, only allowing in residents. Family Reunification stations, divided alphabetically by name, were staffed by officers checking passes and searching bags. For Nicholson however, the limited access to the finish line was creating extra headaches. “You basically have to walk all the way up to 77th Street, and down to the 60’s,” he said. Nicholson was in the first group of runners, starting at 9:40 a.m. But although he finished around 1 p.m. he had yet to meet his family an hour and a half later. “I have no idea where they are,” he said, “You wish this aspect was done right.” Nicholson pointed out that the streets of the Family Reunification stations had been switched from the map he was previously shown. 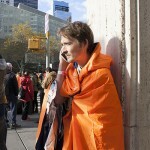 He borrowed a cell phone to call his parents, but only reached voice mail.